One litre or two: How big an engine do I really need in my car? YOU NEED A 5.0-litre V10 petrol. Ok, Ok, maybe Mary next door in her Micra doesn’t need a V10 but this should be the engine most people want in their car! In all seriousness though, when deciding what size engine you need, you should consider what kind of driving you typically do as well as the type/size of the car. If you mostly use your car for the school run, nipping to the shop and shorter more city and town-based trips then a 1.0-litre petrol engine should be more than enough – especially if you have a city car or small to medium car. Many newer cars have moved to using downsized engines that rely on turbocharging to boost power. With these, you need to forget what you might think about small engines of the past and the perception that these newer engines are lacking power. A modern 1.0-litre petrol engine can produce the same as if not more power than an engine twice its size did less than a decade ago. In reality, few people will correctly guess such an engine is ‘only’ a 1.0-litre if they weren’t told. In fact, the 1.0-litre Skoda Octavia is one of the top picks from the range. If your car is a little bigger, maybe the size of a Volkswagen Golf or compact crossover, and you usually have a full car of passengers then a 1.4-litre turbocharged petrol engine should do the trick. It might also be worth while opting for this slightly bigger engine if you occasionally go on the motorway too. Smaller engines have to work hard at motorway speeds and may use a lot of fuel compared to a bigger engine which would be under less stress. If you do a lot of motorway driving then a 2.0-litre diesel is usually a good choice for hatchbacks up to a large SUVs. This size engine should provide enough power for comfortable cruising at motorway speeds and for swift overtaking. Choosing a diesel engine is still a good idea if the majority of your daily driving involves long motorway miles and covers a greater than average distance. This is the type of situation that diesel engines work best in, and should also allow you to get the financial benefit from fuel economy. There is little point in considering a diesel engine if you are sticking mainly to short, urban runs as you won’t get the benefit of the low fuel consumption during longer distances. Plus the engine and exhaust may become prone to issues as the system can’t get hot enough to regenerate. If you need to pull heavy trailers or tow heavy loads then you should look for a diesel engine greater than 2.0 litres that has plenty of torque. Just make sure you heed the manufacturer’s recommended towing limits. 3.0-litre engines are usually pretty powerful and smooth and are often found in more premium and executive cars. 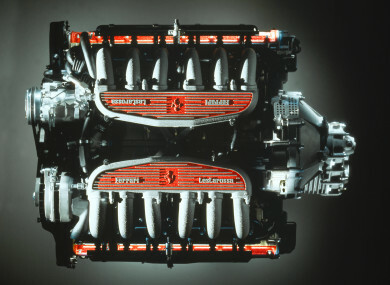 Email “One litre or two: How big an engine do I really need in my car?”. Feedback on “One litre or two: How big an engine do I really need in my car?”.